As a resource partner for HEEAP, Siemens Corporation brings both hardware and software investments to advance applied learning labs for engineering students and faculty. To date, Siemens Corporation has donated $71 million worth of PLM software to HEEAP institutions. The grant is through the Siemens PLM Software Global Opportunities in Product Lifecycle Management program – called GO PLM™ – and includes engineering software, student/instructor training, instructional lab development and specialized software certification programs. These donations are invaluable because graduates with training on industry-leading design software, such as the PLM software, are viewed as more work-ready to prospective employers. Access to these advanced tools and software are essential to preparing engineers for the challenges they will face in an increasingly complex and global economy. This advanced training helps to bridge gaps demanded by industry in the design and analysis of complex systems that transcend traditional engineering boundaries. 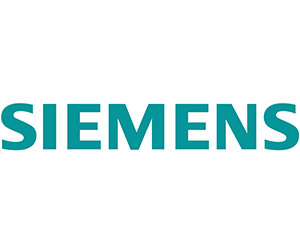 Two decades have passed since Siemens had its official establishment in Vietnam. Over the years, Siemens has made considerable contributions to Vietnam's economic development and are very proud of their long history as a trusted partner and friend of the people of Vietnam. Since its first establishment in Vietnam, Siemens has participated in numerous Vietnam’s infrastructure projects and continues to have a strong presence in many vital sectors of the national economy such as energy, industry and healthcare. Step by step, Siemens has positioned itself as the world-leading total solution provider, with answers to some of Vietnam’s toughest questions. Siemens continues to contribute extensively to the development of the energy sector in Vietnam and helps to ease the country’s severe power shortage by its participating in key projects such as the construction of 720MW Phu My 3 Combined-Cycle Power Plant (CCPP), 1500MW Ca Mau 1&2 CCPP and the recent 750MW Nhon Trach 2 CCPP. Siemens has helped to literally bring light to many households in Vietnam, especially in remote areas.